Notes: AUSTRIAN — On January 29, 1963, MISS HILDA, of 3621 Glengive avenue, beloved daughter of the late Robert and Belle B. Austrian and devoted sister of the late Dr. Charles R. Austrian and S. Bernei Austrian. Services and interment at the convenience of the family. Notes: Miss Hilda Austrian, 79, sister of the late Charles Austrian and daughter of the late Dr. Robert Austrian, died yesterday at Sinai Hospital after an extended illness. Dr. Charles Austrian as internationally known as a consultant in internal medicine, and for many years was a teacher at The Johns Hopkins University School of Medicine. 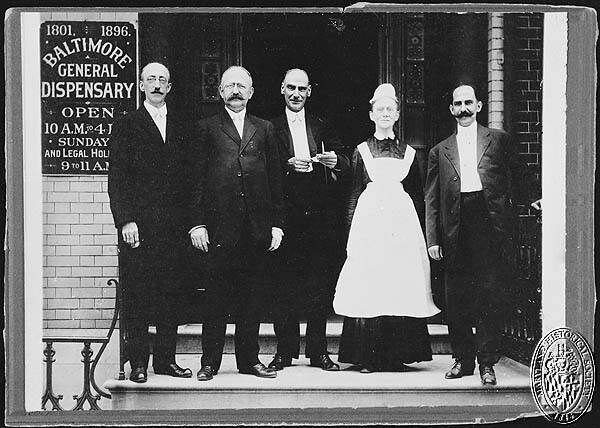 At one time chief physician at Sinai Hospital, Dr. Austrian also served as president of the Johns Hopkins Medical Society, the Baltimore City Medical Society and the Medical and Chirurgical Faculty of Maryland. A native Baltimorean, Miss Austrian attended Friends School and was a member of the Oheb Shalom Synagogue. Surviving her are a niece, Mrs. Burton R. Fisher; a nephew, Dr. Robert Austrian, and a sister-in-law, Mrs. Charles R. Austrian. Private funeral services were held this morning, with burial in the Hebrew Friendship Cemetery.